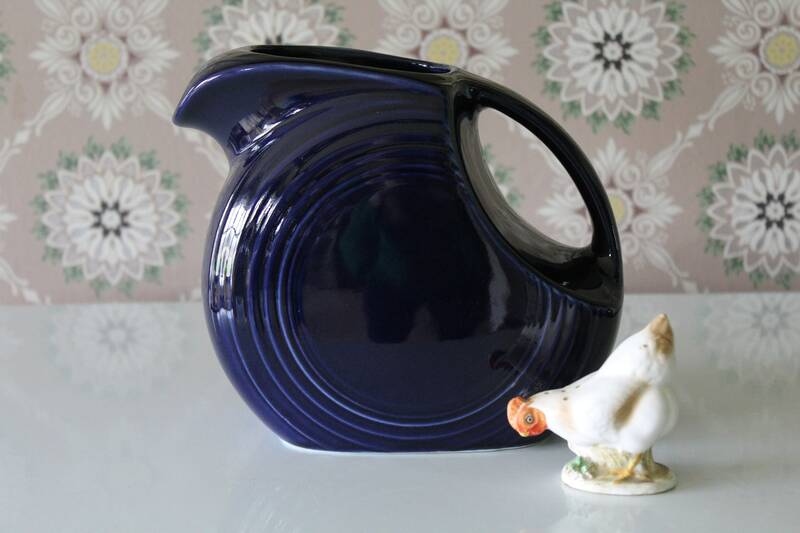 This cobalt blue Fiesta Ware pitcher is made out of ceramic in the Art Deco style. I believe it is from Homer Laughlin's newer reproduction line made in the 1990s since it looks brand new. It's possible it's from the 1940s. It would look sweet in your farmhouse, Spanish bungalow, or retro kitchen. This ceramic disk pitcher is in excellent vintage condition. No signs of use. Please use your zoom for a good look. It holds 2 Qts. or 64 ounces.